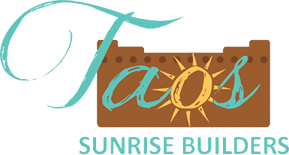 Taos Sunrise Builders is proud to work with a select group of suppliers and artisans who offer some of the finest cabinets, counter tops, windows and carved corbels and posts available. In business for over 20 years, Elwood Cabinets is a cabinet design and installation company based in Cache Valley, Utah. They specialize in bathrooms and kitchens, upgrades and disaster recovery. Crestwood, Inc. is a family-owned manufacturer of elegant, environmentally-friendly wood and stone products that has been in business since 1969. Every window Sierra Pacific Windows produces is made from wood sustainably grown in their 1.9 million acres of forrest, cut in one of their sawmills, processed in their millwork facility, assembled in their plant and shipped directly to the jobsite on one of their trucks. Even the energy used to do all this is generated in one of their cogeneration plants fueled by bark from their trees. International Kitchen Supply has built their reputation on great customer service, quality products at fair prices and delivered quickly and on time. All their cabinets are all wood and pre-fitted. ProSource offers a great selection of tile for you to choose from. With top brands your home deserves the best. United Stoneworks carries a large selection of stone counter tops for kitchens, bathrooms, fireplace surrounds and custom projects. They use only the highest grade material. FlexDesign™ offers the finest lightweight Flexible Stone Veneer with unlimited application possibilities. Ideal Mirror & Glass is New Mexico’s signature mirror and glass gallery, offering hundreds of products including luxury shower doors and mirrors. It is locally owned and operated by Tony & Nanette Padilla since 1983. Since 1954 Woodgrain has manufactured millwork and building products for the residential and commercial construction markets. Woodgrain Doors is one of the world’s leading manufacturers and suppliers of hardwood and softwood stile and rail doors, and door components. Woodgrain is committed to innovation through continuous improvements in manufacturing, design, craftsmanship and use of highest quality raw materials; all products come from renewable resources, using 99% of the tree. Family owned and operated, Mammoth Mill & Construction designs, mills, and builds custom log and timber homes since 2001. Master carver Joseph Lujan, owner of Southwest Spiral Designs of Vadito, New Mexico, creates beautiful corbels and posts carved in a wide variety of designs. Proper corbels and posts are essential for an authentic New Mexico adobe or territorial home. Founded in 1954, Wayne Dalton Garage Doors are one of the largest door manufacturers in the United States. Their innovation drives dealer productivity and provides industry-leading garage door solutions. Wayne Dalton boasts one of the largest residential garage door lineups in the industry-from Custom Wood to Carriage House Steel to Contemporary Aluminum to Designer Fiberglass, they have a wide variety of panel designs, window options and colors to choose from. Family owned and operated in El Prado, NM for over twenty years, Taos Architectural Copper creates beautiful, hand-forged canales, sinks, roofs, counters, sconces and other decorative elements. Their work embodies artistry and craftsmanship. In business for over forty years, Arizona Tile’s reputation for providing high quality products and unparalleled customer service has made them the leading tile and slab distributor in the country.